Michaela Diamant is credited posthumously. Her experience, wisdom and wit were key factors in the creation of the original 2012 position statement; they continued to resonate with us during the writing of this update. S. E. Inzucchi and D. R. Matthews were co-chairs for the Position Statement Writing Group. R. M. Bergenstal, J. B. Buse, A. L. Peters and R. Wender were the Writing Group for the American Diabetes Association. M. Diamant, E. Ferrannini, M. Nauck and A. Tsapas were the Writing Group for the European Association for the Study of Diabetes. Simultaneous publication: This article is being simultaneously published in Diabetes Care and Diabetologia by the American Diabetes Association and the European Association for the Study of Diabetes. Copyright 2014 by the American Diabetes Association and Springer-Verlag. Copying with attribution allowed for any non-commercial use of the work. The online version of this article (doi: 10.1007/s00125-014-3460-0) contains an ESM slide set for this paper and an abridged version, which is available to authorised users. In 2012, the American Diabetes Association (ADA) and the European Association for the Study of Diabetes (EASD) published a position statement on the management of hyperglycaemia in patients with type 2 diabetes [1, 2]. This was needed because of an increasing array of anti-hyperglycaemic drugs and growing uncertainty regarding their proper selection and sequence. Because of a paucity of comparative effectiveness research on long-term treatment outcomes with many of these medications, the 2012 publication was less prescriptive than prior consensus reports. We previously described the need to individualise both treatment targets and treatment strategies, with an emphasis on patient-centred care and shared decision-making, and this continues to be our position, although there are now more head-to-head trials that show slight variance between agents with regard to glucose-lowering effects. Nevertheless, these differences are often small and would be unlikely to reflect any definite differential effect in an individual patient. The ADA and EASD have requested an update to the position statement incorporating new data from recent clinical trials. Between June and September of 2014, the Writing Group reconvened, including one face-to-face meeting, to discuss the changes. An entirely new statement was felt to be unnecessary. Instead, the group focused on those areas where revisions were suggested by a changing evidence base. This briefer article should therefore be read as an addendum to the previous full account [1, 2]. Glucose control remains a major focus in the management of patients with type 2 diabetes. However, this should always be in the context of a comprehensive cardiovascular risk factor reduction programme, to include smoking cessation and the adoption of other healthy lifestyle habits, blood pressure control, lipid management with priority to statin medications and, in some circumstances, antiplatelet therapy. 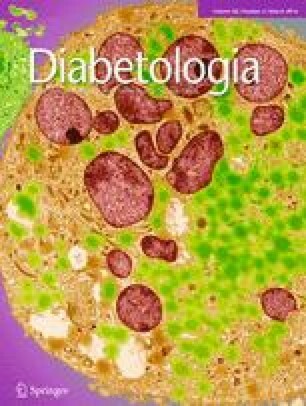 Studies have conclusively determined that reducing hyperglycaemia decreases the onset and progression of microvascular complications [3, 4]. The impact of glucose control on cardiovascular complications remains uncertain; a more modest benefit is likely to be present, but probably emerges only after many years of improved control . Results from large trials have also suggested that overly aggressive control in older patients with more advanced disease may not have significant benefits and may indeed present some risk . Accordingly, instead of a one-size-fits-all approach, personalisation is necessary, balancing the benefits of glycaemic control with its potential risks, taking into account the adverse effects of glucose-lowering medications (particularly hypoglycaemia), and the patient’s age and health status, among other concerns. Figure 1 displays those patient and disease factors that may influence the target for glucose control, as reflected by HbA1c. The main update to this figure is the separation of those factors that are potentially modifiable from those that are usually not. The patient’s attitude and expected treatment efforts and access to resources and support systems are unique in so far as they may improve (or worsen) over time. Indeed, the clinical team should encourage patient adherence to therapy through education and also try to optimise care in the context of prevailing health coverage and/or the patient’s financial means. Other features, such as age, life expectancy, comorbidities and the risks and consequences to the patient from an adverse drug event, are more or less fixed. Finally, the usual HbA1c goal cut-off point of 7% (53.0 mmol/mol) has also been inserted at the top of the figure to provide some context to the recommendations regarding stringency of treatment efforts. • Multiple contraindications: CKD, acidosis, hypoxia, dehydration, etc. The major change in treatment options since the publication of the 2012 position statement has been the availability of a new class of glucose-lowering drugs, the sodium–glucose co-transporter 2 (SGLT2) inhibitors . These agents reduce HbA1c by 0.5–1.0% (5.5–11 mmol/mol) vs placebo [7, 8]. When compared with most standard oral agents in head-to-head trials, they appear to be roughly similarly efficacious with regard to initial HbA1c lowering [9, 10, 11, 12]. Their mechanism of action involves inhibiting the SGLT2 in the proximal nephron, thereby reducing glucose reabsorption and increasing urinary glucose excretion by up to 80 g/day [13, 14]. Because this action is independent of insulin, SGLT2 inhibitors may be used at any stage of type 2 diabetes, even after insulin secretion has waned significantly. Additional potential advantages include modest weight loss (~2 kg, stabilising over 6–12 months) and consistent lowering of systolic and diastolic blood pressure in the order of ~2–4/~1–2 mmHg [7, 8, 15]. Their use is also associated with reductions in plasma uric acid levels and albuminuria , although the clinical impact of these changes over time is unknown. Side effects of SGLT2 inhibitor therapy include genital mycotic infections, at rates of about 11% higher in women and about 4% higher in men compared with placebo ; in some studies, a slight increase in urinary tract infections was shown [7, 9, 12, 17, 18]. They also possess a diuretic effect, and so symptoms related to volume depletion may occur [7, 19]. Consequently, these agents should be used cautiously in the elderly, in any patient already on a diuretic, and in anyone with a tenuous intravascular volume status. Reversible small increases in serum creatinine occur [14, 19]. Increased urine calcium excretion has been observed , and the United States Food and Drug Administration (FDA) mandated a follow-up of upper limb fractures of patients on canagliflozin after an adverse imbalance in cases was reported in short-term trials . Small increases in LDL-cholesterol (~5%) have been noted in some trials, the implications of which are unknown. Due to their mechanism of action, SGLT2 inhibitors are less effective when the estimated GFR (eGFR) is <45–60 ml min−1 (1.73 m)−2; currently available agents have variable label restrictions for values below this threshold. Data on microvascular outcomes with SGLT2 inhibitors are lacking (as with most agents other than sulfonylureas and insulin). Effects on macrovascular disease are also unknown; cardiovascular safety trials are currently in progress . Earlier concerns that the thiazolidinediones (TZDs)—in particular pioglitazone—are associated with bladder cancer have largely been allayed by subsequent evidence [23, 24, 25]. These agents tend to cause weight gain and peripheral oedema and have been shown to increase the incidence of heart failure . They also increase the risk of bone fractures, predominately in women . Pioglitazone is now available as a generic drug, substantially decreasing its cost. One large trial involving the dipeptidyl peptidase 4 (DPP-4) inhibitor saxagliptin found no overall cardiovascular risk or benefit (although the follow-up was only slightly more than 2 years) compared with placebo . However, more heart failure hospitalisations occurred in the active therapy group (3.5% vs 2.8%, p = 0.007) [28, 29]. Alogliptin, another DPP-4 inhibitor, also did not have any demonstrable cardiovascular excess risk over an even shorter period (18 months) in high-risk patients . A wider database interrogation indicated no signal for cardiovascular disease or heart failure [30, 31]. Several other trials are underway, and until the results of these are reported, this class should probably be used cautiously, if at all, in patients with pre-existing heart failure. One area of concern with this class, as well as the other incretin-based category, the glucagon-like peptide 1 (GLP-1) receptor agonists, has been pancreatic safety—both regarding possible pancreatitis and pancreatic neoplasia. The prescribing guidelines for these drugs include cautions about using them in individuals with a prior history of pancreatitis. While this is reasonable, emerging data from large observational datasets , as well as from two large cardiovascular trials with DPP-4 inhibitors [28, 29, 30], have found no statistically increased rates of pancreatic disease. Generally speaking, the use of any drug in patients with type 2 diabetes must balance the glucose-lowering efficacy, side-effect profiles, anticipation of additional benefits, cost, and other practical aspects of care, such as dosing schedule and requirements for glucose monitoring. The patient—who is obviously the individual most affected by drug choice—should participate in a shared decision-making process regarding both the intensiveness of blood glucose control and which medications are to be selected. Metformin remains the optimal drug for monotherapy. Its low cost, proven safety record, weight neutrality and possible benefits on cardiovascular outcomes have secured its place as the favoured initial drug choice. There is increasing evidence that the current cut-off points for renal safety in the USA (contraindicated if serum creatinine ≥133 μmol/l [≥1.5 mg/dl] in men or 124 μmol/l [1.4 mg/dl] in women) may be overly restrictive . Accordingly, there are calls to relax prescribing polices to extend the use of this important medication to those with mild–moderate, but stable, chronic kidney disease (CKD) [34, 35, 36]. Many practitioners would continue to prescribe metformin even when the eGFR falls to less than 45–60 ml min−1 (1.73 m)−2, perhaps with dose adjustments to account for reduced renal clearance of the compound. One criterion for stopping the drug is an eGFR of <30 ml min−1 (1.73 m)−2 [34, 37, 38]. Of course, any use in patients with CKD mandates diligent follow-up of renal function. In circumstances where metformin is contraindicated or not tolerated, one of the second-line agents (see below) may be used, although the choices become more limited if renal insufficiency is the reason metformin is being avoided. In these circumstances it is unwise to use sulfonylureas, particularly glibenclamide (known as glyburide in the USA and Canada), because of the risk of hypoglycaemia. DPP-4 inhibitors are probably a preferable choice, although, with the exception of linagliptin , dosage adjustments are required. While the SGLT2 inhibitors are approved as monotherapy, they are mainly used in combination with metformin and/or other agents . Given their demonstrated efficacy and clinical experience to date, they are reasonable options as second-line or third-line agents [40, 41, 42] (Fig. 2). Similar to most combinations, efficacy may be less than additive when SGLT2 inhibitors are used in combination with DPP-4 inhibitors . There are no data available on the use of SGLT2 inhibitors in conjunction with GLP-1 receptor agonists; an evidence-based recommendation for this combination cannot be made at this time. As noted in the original position statement, initial combination therapy with metformin plus a second agent may allow patients to achieve HbA1c targets more quickly than sequential therapy. Accordingly, such an approach may be considered in those individuals with baseline HbA1c levels well above target, who are unlikely to successfully attain their goal using monotherapy. A reasonable threshold HbA1c for this consideration is ≥9% (≥75 mmol/mol). Of course, there is no proven overall advantage to achieving a glycaemic target more quickly by a matter of weeks or even months. Accordingly, as long as close patient follow-up can be ensured, prompt sequential therapy is a reasonable alternative, even in those with baseline HbA1c levels in this range. In certain patients, glucose control remains poor despite the use of three anti-hyperglycaemic drugs in combination. With long-standing diabetes, a significant diminution in pancreatic insulin secretory capacity dominates the clinical picture. In any patient not achieving an agreed HbA1c target despite intensive therapy, basal insulin should be considered an essential component of the treatment strategy. After basal insulin (usually in combination with metformin and sometimes an additional agent), the 2012 position statement endorsed the addition of one to three injections of a rapid-acting insulin analogue dosed before meals. As an alternative, the statement mentioned that, in selected patients, simpler (but somewhat less flexible) pre-mixed formulations of intermediate- and short/rapid-acting insulins in fixed ratios could also be considered . Over the past 3 years, however, the effectiveness of combining GLP-1 receptor agonists (both shorter-acting and newer weekly formulations) with basal insulin has been demonstrated, with most studies showing equal or slightly superior efficacy to the addition of prandial insulin, and with weight loss and less hypoglycaemia [45, 46, 47]. The available data now suggest that either a GLP-1 receptor agonist or prandial insulin could be used in this setting, with the former arguably safer, at least for short-term outcomes [45, 48, 49]. Accordingly, in those patients on basal insulin with one or more oral agents whose diabetes remains uncontrolled, the addition of a GLP-1 receptor agonist or mealtime insulin could be viewed as a logical progression of the treatment regimen, the former perhaps a more attractive option in more obese individuals or in those who may not have the capacity to handle the complexities of a multi-dose insulin regimen. Indeed, there is increasing evidence for and interest in this approach . In those patients who do not respond adequately to the addition of a GLP-1 receptor agonist to basal insulin, mealtime insulin in a combined ‘basal–bolus’ strategy should be used instead . In selected patients at this stage of disease, the addition of an SGLT2 inhibitor may further improve control and reduce the amount of insulin required . This is particularly an issue when large doses of insulin are required in obese, highly insulin-resistant patients. Another, older, option, the addition of a TZD (usually pioglitazone), also has an insulin-sparing effect and may also reduce HbA1c [53, 54], but at the expense of weight gain, fluid retention and increased risk of heart failure. So, if used at this stage, low doses are advisable and only with very careful monitoring of the patient. Concentrated insulins (e.g. U-500 Regular) also have a role in those individuals requiring very large doses of insulin per day, in order to minimise injection volume . However, these must be carefully prescribed, with meticulous communication with both patient and pharmacist regarding proper dosing instructions. Practitioners should also consider the significant expense and additional complexity and costs of multiple combinations of glucose-lowering medications. Overly burdensome regimens should be avoided. The inability to achieve glycaemic targets with an increasingly convoluted regimen should prompt a pragmatic reassessment of the HbA1c target or, in the very obese, consideration of non-pharmacological interventions, such as bariatric surgery. Of course, nutritional counselling and diabetes self-management education are integral parts of any therapeutic programme throughout the disease course. These will ensure that the patient has access to information on methods to reduce, where possible, the requirements for pharmacotherapy, as well as to safely monitor and control blood glucose levels. Clinicians should also be wary of the patient with latent autoimmune diabetes of adulthood (LADA), which may be identified by measuring islet antibodies, such as those against GAD65 . Although control with oral agents is possible for a variable period of time, these individuals, who are typically but not always lean, develop insulin requirements faster than those with typical type 2 diabetes  and progressively manifest metabolic changes similar to those seen in type 1 diabetes. Ultimately, they are optimally treated with a regimen consisting of multiple daily injections of insulin, ideally using a basal–bolus approach (or an insulin pump). Figure 3 has been updated to include proposed dosing instructions for the various insulin strategies, including the addition of rapid-acting insulin analogues before meals or the use of pre-mixed insulin formulations. As emphasised in the original position statement, optimal treatment of type 2 diabetes must take into account the various comorbidities that are frequently encountered in patients, particularly as they age. These include coronary artery disease, heart failure, renal and liver disease, dementia and increasing propensity to (and greater likelihood of experiencing untoward outcomes from) hypoglycaemia. There are few new data to further this discussion. As mentioned, new concerns about DPP-4 inhibitors and heart failure and the issues concerning SGLT2 inhibitors and renal status should be taken into consideration . Finally, cost can be an important consideration in drug selection. As the prices of newer medications continue to increase, practitioners should take into account patient (and societal) resources and determine when less costly, generic products might be appropriately used. More long-term data regarding the cardiovascular impact of our glucose-lowering therapies will be available over the next 1–3 years. Information from these trials will further assist us in optimising treatment strategies. A large comparative effectiveness study in the USA is now assessing long-term outcomes with multiple agents after metformin monotherapy, but results are not anticipated until at least 2020 . The recommendations in this position statement will obviously need to be updated in future years in order to provide the best and most evidence-based recommendations for patients with type 2 diabetes. This position statement was written by joint request of the ADA and the EASD Executive Committees, which have approved the final document. The process involved wide literature review, one face-to-face meeting of the Writing Group and multiple revisions via e-mail communications. We gratefully acknowledge the following experts who provided critical review of a draft of this update: James Best, Lee Kong Chian School of Medicine, Singapore; Henk Bilo, Isala Clinics, Zwolle, the Netherlands; Andrew Boulton, Manchester University, Manchester, UK; Paul Callaway, University of Kansas School of Medicine-Wichita, Wichita, KS, USA; Bernard Charbonnel, University of Nantes, Nantes, France; Stephen Colagiuri, The University of Sydney, Sydney, NSW, Australia; Leszek Czupryniak, Medical University of Lodz, Lodz, Poland; Margo Farber, University of Michigan Health System and College of Pharmacy, Ann Arbor, MI, USA; Richard Grant, Kaiser Permanente Northern California, Oakland, CA, USA; Faramarz Ismail-Beigi, Case Western Reserve University School of Medicine/Cleveland VA Medical Center, Cleveland, OH, USA; Darren McGuire, University of Texas Southwestern Medical Center, Dallas, TX, USA; Julio Rosenstock, Dallas Diabetes and Endocrine Center at Medical City, Dallas, TX, USA; Geralyn Spollett, Yale University School of Medicine, New Haven, CT, USA; Agathocles Tsatsoulis, University of Ioannina, Ioannina, Greece; Deborah Wexler, Massachusetts General Hospital, Boston, MA, USA; Bernard Zinman, Lunenfeld-Tanenbaum Research Institute, University of Toronto and Mount Sinai Hospital, Toronto, ON, Canada. The final draft was also peer reviewed and approved by the Professional Practice Committee of the ADA and the Panel on Guidelines and Statements of the EASD. The face-to-face meeting was supported by the EASD. D. R. Matthews acknowledges support from the National Institute for Health Research. All the named Writing Group authors contributed substantially to the document. All authors supplied detailed input and approved the final version. S. E. Inzucchi and D. R. Matthews directed, chaired and coordinated the input with multiple e-mail exchanges between all participants. The following scale was developed to categorise efficacy of the anti-hyperglycaemic drug classes, with data predominately based on placebo-controlled trials in monotherapy. The Writing Group acknowledges that this schema is somewhat arbitrary and that there are many different ways to assess the HbA1c-lowering effect of agents, including head-to-head trials. The results of all such trials are influenced by baseline HbA1c, drug type and dose, duration of treatment, wash-out from other anti-hyperglycaemic therapies, as well as adherence among participants to study medication and diet and exercise, among other factors. Accordingly, it remains challenging to evaluate and compare the ‘potency’ of anti-hyperglycaemic drugs. Moreover, mean differences between most agents, with some exceptions, are modest. Such data would be unlikely to reflect with any certainty the differential effect of a specific drug at a precise point in the treatment course in an individual patient. The following scale was developed to categorise cost of the anti-hyperglycaemic drug classes, using an online retail pharmacy tool for New Haven, Connecticut, in October 2014. We queried the lowest-priced member of each class at the highest prescribed dose for a 30-day supply. Insulin was assigned a ‘variable’ category, given the very wide range in cost, dependent on formulation and dose. The Writing Group acknowledges that this schema is also somewhat arbitrary but feels that it constitutes a reasonable valuation of healthcare expenditures. Costs are always of concern to health providers, though these may not be apparent to an individual patient covered by a health service, and may vary based on insurance coverage and other factors.